Each year in accordance with the bequest of Jules F. Archibald (1856-1919) the Trustees of the Art Gallery of New South Wales invite artists to submit paintings in competition for an annual prize which is awarded to the best portrait of a man or woman ‘distinguished in Art, Letters, Science or Politics’. Finalists must have been resident in Australasia during the previous 12 months. 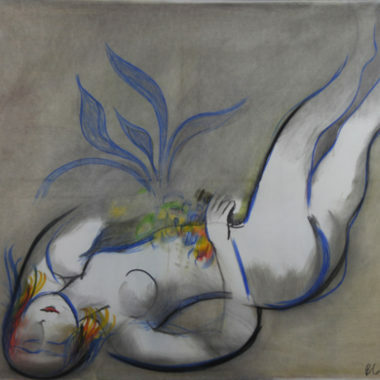 All works are judged by the Trustees of the Gallery with the winner receiving a prize of $50,000. The Archibald prize is now in its 88th year, and this year there were 708 entries for the Prize. 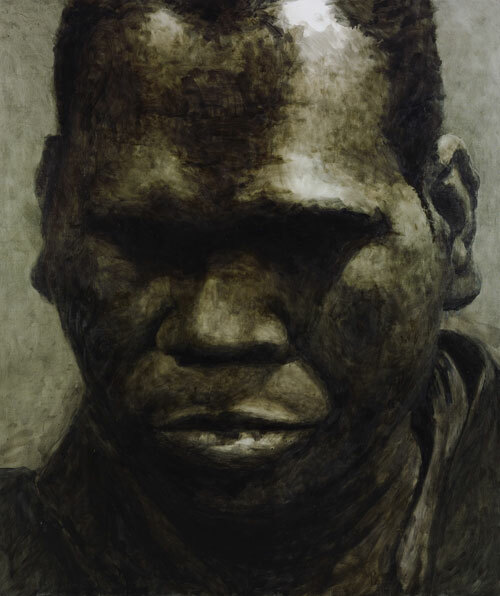 This year the prize has been awarded to Guy Maestri for his portrait of Indigenous singer Geoffrey Gurrumul Yunupingu. With his extraordinary voice and hauntingly beautiful album, Gurrumul has become something of a cultural phenomenon over the last year. Born blind, the gifted musician leads a traditional lifestyle on Elcho Island in Arnhem Land and sings in his native Yolngu language, but his fame is spreading the world. He recently won two coveted ARIA Awards among others and was named NT Australian of the Year for 2008. Guy Maestri saw Gurrumul live on New Year’s Eve last year and says it was truly, an unforgettable experience. ‘Word had been going around all day and the rumours were true – people really were moved to tears.’ Believing that this ‘inspiring, amazing man’ would be an ideal subject for a portrait, Maestri managed to track Gurrumul down in Darwin with the help of a friend in the music industry only to discover that he was flying to New York the following weekend. Born in Mudgee, NSW in 1974, Maestri completed a Bachelor of Fine Art (Hons) in painting at the National Art School, Darlinghurst in 2003. 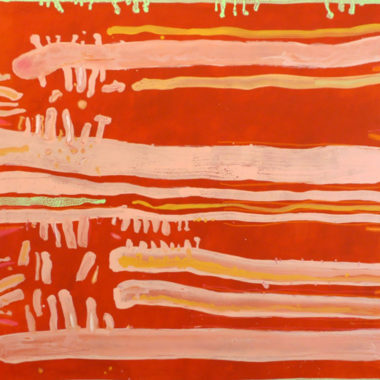 He has had solo exhibitions at the Tim Olsen Gallery and was a finalist in the 2007 and 2008 Dobell Drawing Prize. With the support of Myer, the 2009 Archibald Prize: New South Wales Regional Tour provides regional centres with access to one of Australia’s largest portraiture exhibitions, making the Archibald Prize an integral part of the Australian artistic tradition.